Earn $2.19 in Podium Club credit (219 points)What's This? The cream of the gods. Cleanliness is next to Godliness, and luckily this chamois cream offers both. 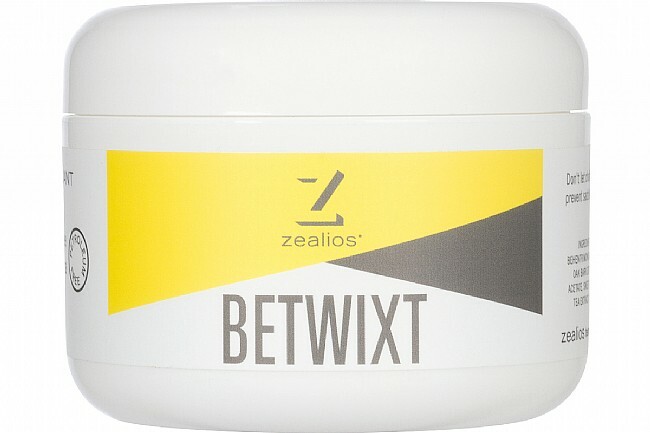 The Zealios Betwixt Chamois Cream features an all natural, paraben- and petroleum-free formula that is constructed from nothing but plant matter. That's right, this chamois cream is 100% vegan for all you conscientious cyclists. Featuring a high-viscosity, non-staining formula, this chamois cream is long lasting and easily washable.